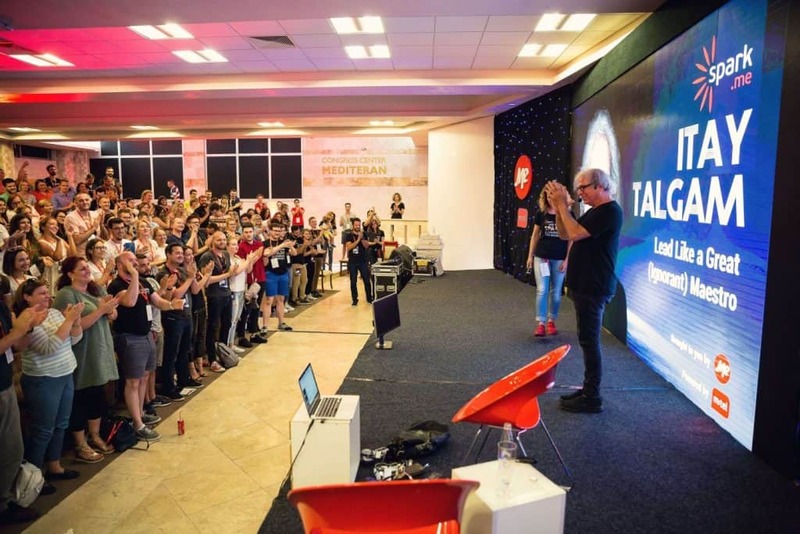 This is your opportunity to become a part of Spark.me 2019 story and join us on May 25-26 in Porto Montenegro, in Tivat, Montenegro! Spark.me conference is designed to inspire you, to ignite your imagination, and to help you find YOUR spark – the one thing that makes you special, that one idea that will make you stand out from the crowd, along with the people you need to know to make that happen. Use your voice and your platform to share the Spark.me experience with your followers and help us ignite sparks in people and places we could not reach on our own. We invite you to use your voice and your platform to share the Spark.me experience with your followers and help us ignite sparks in people and places we could not reach on our own. and the recognition on the conference website and social media outlets as an Official Spark.me 2019 Blogger. Itay Talgam, an orchestral conductor and TED speaker at Spark.me 2018 stage. How to Become an Official Spark.me 2019 Blogger? Fill in the application form at http://spark.me/ambassadors/. Selected bloggers will be contacted on April 20 and asked to confirm their attendance by April 24, while the official list of bloggers will be published on our website on April 26! Publish one piece of content in the week following the Super Early Bird ticket sale announcement for the Spark.me 2020. See you in Montenegro in May! Spark.me 2019 will take place in in Porto Montenegro Auditorium, in Tivat, Montenegro. The conference program is designed in a way to challenge our way of thinking and ignite the spark of change in each of us. Spark.me conference gathers business, technology and innovation leaders, marketers, startups, and geeks, and puts them in a setting that inspires networking and knowledge exchange. In 2018 alone, Spark.me attracted 580 attendees from 28 countries. We are NOT the biggest conference when it comes to the sheer number of attendees, speakers, or startups – and we are NOT trying to be. We are an intimate conference, with a thoroughly curated agenda, where every speaker is hand-picked. We pay special attention to every detail, and we try to make Spark.me an unforgettable conference experience. Our goal is not to be the biggest conference in the region, but to be the conference that makes the biggest positive change. Do not miss the opportunity to become a part of Spark.me 2019 community and join us for a weekend of learning, growing, and catching some sunrays at the beach!